Will Pigs (and the AFL-CIO) Trample the Obama-Xi Talks? Lots at stake when President Obama and China’s President Xi meet in California this week. All-important talks between the United States and China will happen this weekend, when President Obama meets President Xi in California. So, naturally, the China-bashers are out in full force, including the usual suspects at the AFL-CIO. China signaled a possible softening on a key point of contention with the U.S. ahead of a meeting between the two countries’ presidents, suggesting it might be willing to join U.S.-led talks to strike an Asia-Pacific free-trade agreement. With so many critical things at stake in the Obama-Xi summit, why then are pigs getting in the way? By pigs, I mean literally pigs—that is, the report that a Chinese company wants to buy the top US pork producer for $4.7 billion. In the past, anti-Chinese hysteria has blocked China’s purchase of other companies, but Smithfield Foods has little to do with national security. True, some Chinese companies have a poor-to-middling record when it comes to food safety, but operating in the United States the Chinese firm involved, Shuanghui International, will have to abide by American rules, including the FDA’s. State-owned enterprises, for example, have both motivations and financial advantages that set them apart from commercial companies. They may be driven by long-term national government goals (like acquisition of market power or exclusive access to natural resources) that would lead to short-term actions not driven by profit. Behind the bid was a group of savvy investors and global deal makers who hold a substantial stake in the Chinese company: Goldman Sachs, CDH Investments, Singapore’s sovereign wealth fund and New Horizon Capital, a private equity firm co-founded by the son of the former Chinese prime minister Wen Jiabao. The group controls nearly half the shares of Shuanghui International, much of which was acquired about seven years ago by helping privatize a company that had been run as a state-owned meat processor. Naturally, I’m no fan of big capitalist companies’ controlling our food supply, but so they do. Whether they’re American-owned or Chinese-owned doesn’t matter much. But that shouldn’t be fodder for the China-bashers. Good US-China relations are critically important in dealing with crises around the world, from North Korea’s belligerency to Iran’s nuclear program, and it will be the big issues, not piggies, that dominate the Obama-Xi talks. Biggest of all is how the United States will respond to the emergence of China as a regional, East Asia behemoth and, eventually, as a world power. There is lots of talk about China’s military growth, but cooler heads realize that for decades to come the United States will remain far, far ahead of China in military technology and power—although China will increasingly be able to flex its muscles in disputes over the South China Sea, for instance. The real, hard nut to crack will be US-Taiwan relations, and the continuing—but foolish—American efforts to bolster Taiwan’s military power. Face it, Washington: first Hong Kong, then Taiwan. 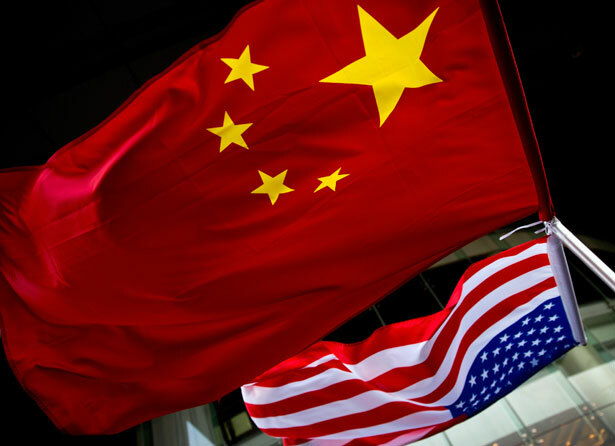 Read more on US-China relations from Bob Dreyfuss.